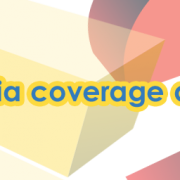 Going back as promised on this year’s game events and their media coverage, today I am looking into the early results of the Paris Games Week held from 28th of October to the 1st of November. 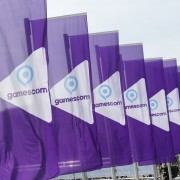 This year’s event was particularly interesting as it was chosen to host the Sony media conference instead of the one usually held during gamescom. Last time around I used a formula looking at the key 20 days of different events, so the numbers I am showing today are a bit short for the Paris Games Week (PGW). I had to make a choice about getting the same numbers but publishing in a few weeks (I am away in Korea to attend Gstar and have meetings with clients) and publishing this week with a partial outlook. Considering the partial numbers are already very telling, it seems like a better idea to make this post while the event is still fresh in everyone’s mind. 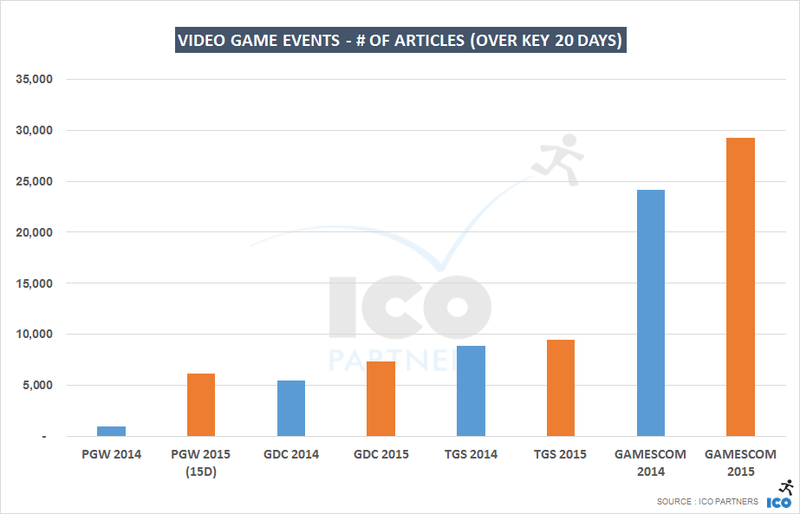 The PGW 2015 edition has seen a massive growth in its media coverage – it has grown over 500% compared to last year alone. There is no doubt the Sony press conference played a key role (more on that later), and its takes the event close to the size of the main GDC event. 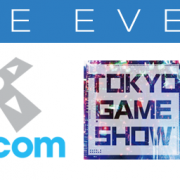 However, it is still a way from the media coverage we can see out of gamescom or even the Tokyo Game Show (which has still about a 1/3 more coverage than the PGW) despite the fact that the event happens on the other side of the world and the media that we track are Western media. But for its first edition, backed by a major media event, this is an outstanding performance. 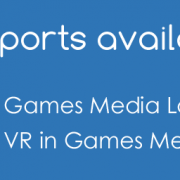 With the Paris Games Week behind us now, we have a great opportunity to look into the effect the event had on Sony’s game console media presence in comparison to its other recent media events. To focus on the media dedicating time to the Sony conference, I limited the sample to 3 days – the day of the conference and the following 2 days. Longer period give more weight to the media initiatives on the show floor, or other unrelated announcements. Also bear in mind that articles only related to the console, but not the specifically about the event, are also counted. The result was surprising to me. 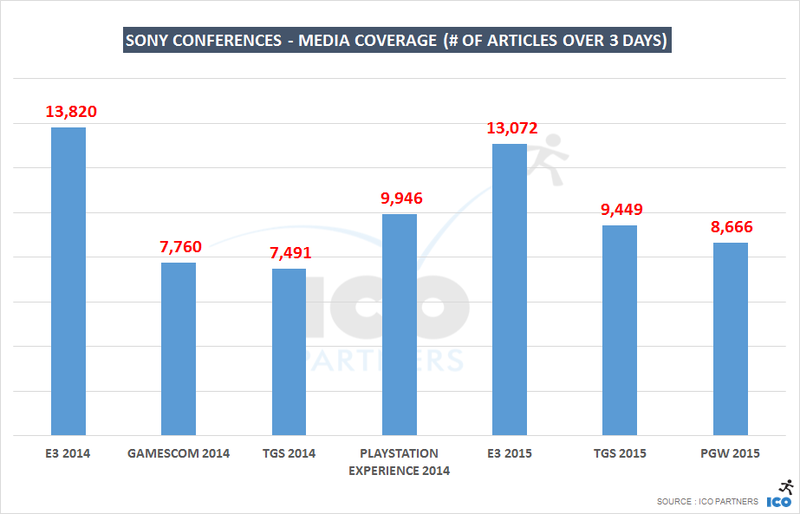 While Paris Game Week was the event this year that had the least coverage, it came surprisingly close to the Tokyo Game Show, but even more surprising, it had more media coverage than its direct European predecessor, the Sony media conference at gamescom last year. Sony obviously did a great job in its media outreach around the event as well as efficiently managing the invites to the event itself. There is probably a positive effect from the company being on its own at the event, with no particular major announcement from its console competitors at the same time. An effect that Microsoft benefited from this year at gamescom as we saw earlier. In many ways, this validates Sony’s decision to feature its media conference during the Paris Games Week. As each event is unique in many ways, the value of certain announcements not being equal, it is impossible to say if the number would have been better at gamescom, but the fact that they look so good, even compared to the closer Tokyo Game Show, is a feat in itself. It looks like a small repeat of last year’s brilliant Playstation Experience. Talking of which, it will be the next milestone in this series on the impact of events on the media coverage. Running concurrently with Paris Games Week is Game Connection – a special networking event where industry professionals can make appointments to meet. Last week, I also attended the Game Connection side of the event, and on multiple occasions I discussed with the people I was meeting the overall presence of the media (including a few journalists) at PGW. There was a clear lack of international journalists at the Paris Games Week itself. It appears that many media flew over for the Sony conference and left right after it. In a few discussions, it seemed like they were not aware of the fact that they could attend PGW as well, nor that they could easily get newsworthy content from the exhibitors. And to be honest, they were not totally wrong. In many ways, the event is not structured to include media. The Game Connection, which is the only B2B space at the location, isn’t historically structured to host journalists. They have made specific efforts to be more inclusive of media, but we are far from the gamescom equivalent of the B2B area which hosts business meetings as well as media meetings in a dedicated environment. But even the showfloor, which at gamescom is used for many media meetings and hands-on experiences, wasn’t set-up with media in mind. The space was almost always totally open, with very few meetings rooms there, and from what I could see, no booth had an identified location to find staff for a professional enquiry. Add to this the fact (reported to me, being fluent in French, it didn’t come to mind to actually check on this the couple of times I went to the showfloor) that the hosting staff were not selected with their capacity to communicate in English in mind. As a result you have a very consumer driven event, not very welcoming for the few international media that were present. The first Paris Games Week was held 5 years ago. This event tailored for all gamers has quickly and firmly established itself in the world’s top 5 video gaming fairs. Today, Paris Games Week is one of the world’s essential gaming industry events, for gamers as much as for professionals. The 2015 edition will host international speakers and exclusive releases, brand new to Paris Games Week. 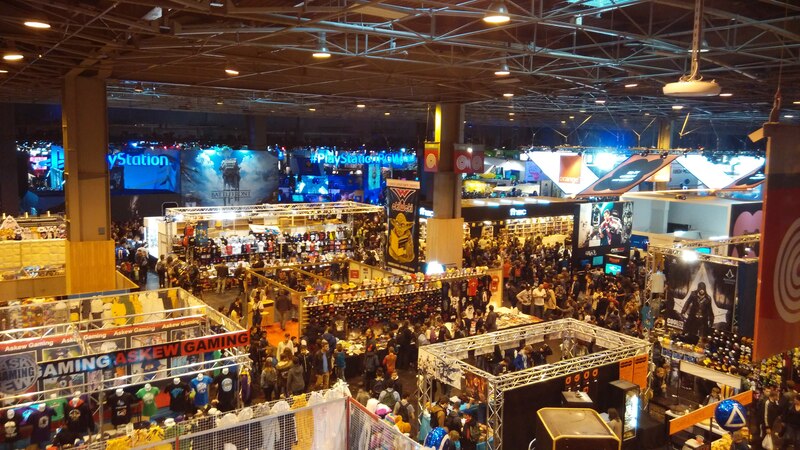 Members of SELL, which is celebrating its 20th anniversary this year, are delighted to see the Porte de Versailles exhibition centre become home to everyone involved in video gaming, a place where the industry comes together to discover the new products that will be the stars of the end-of-year season. While the Game Connection is very international, the PGW showfloor wasn’t. And its management of media lacked significantly in providing a strong basis for coverage outside of France. This is by no means an easy fit. You would need a number of publishers and studios to play along, to provide multiple key beats during the event to attract international media, and the date of the event doesn’t make this very easy as October/November is usually more about the seasonal blockbusters and AAA-titles than new, upcoming announcements. But, if there was a perfect opportunity to do this, it was this year, and if there was one organisation in France able to coordinate this, it would the SELL, the PGW’s organizer, a trade body representing the videogame publishers. 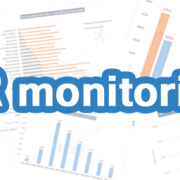 Note – you can find out more on the methodology on the dedicated blog post.